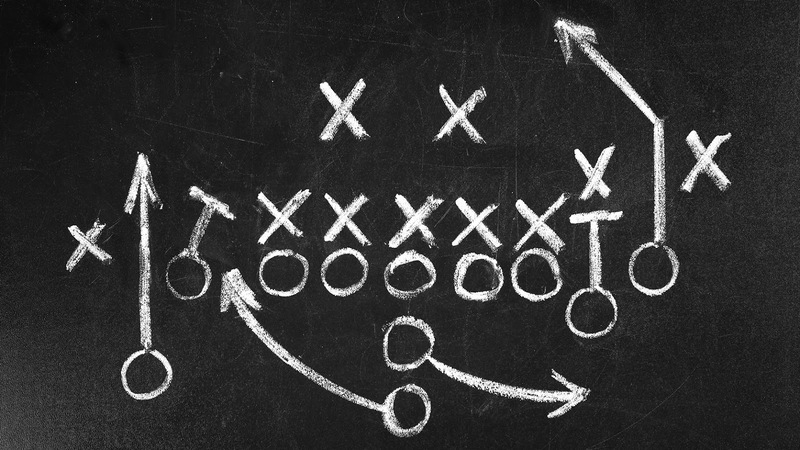 If you use the words “planning” and “strategy” interchangeably, it’s probably time to stop. Especially if the word “content” comes before them. We’re not exactly breaking news here: the world of content marketing is more complex and wide-reaching than ever before. It’s also more ingrained. Joe Pulizzi has argued that in 10 years, content marketing will just be marketing, and one could make a good case we’re close to that point already. A well constructed content strategy is critical for attracting customers and growing your brand. But you’ll never execute one without a structured and organized content plan, fueled by a sustainable workflow and consistent process. Let’s explore the key distinctions between content strategy and content planning and how to connect them for harmonious results. The most important words in this content strategy definition, in my opinion, are “vision” and “objective.” In many ways, strategy is ambiguous and intangible — a guiding framework that accounts for every element of your content operation. And it always needs to lead toward a concrete goal (usually, some variation of “make more money”). Strategy is the umbrella under which all of your content marketing tools and tactics nest. But turning a strategic vision into reality won’t happen on its own. Content planning makes it so. The quote “If you fail to plan, you plan to fail,” has been thrown around for ages. Like most quotes, it’s frequently attributed to Benjamin Franklin, although he probably never said it. Regardless of its source, this statement endures and gets repeated ad nauseum for one simple reason: it’s absolutely true. Even the most well-crafted content strategy is doomed without a clear and transparent plan for setting it into action practically. This tends to be one of the foremost challenges for larger, more dispersed, or just plain busy content marketing teams. In the 2018 Content Marketing Benchmarks, Budgets, and Trends Report compiled by CMI and MarketingProfs, only 8% of respondents rated the project management flow in their content creation process as “Excellent,” and only 28% dubbed theirs “Very Good.” Many organizations are fraught with inefficiencies and bottlenecks. These typically sprout up due to poor planning or a lack of planning, and they throw strategies into disarray. Getting from Point A (a strategic vision) to a Point B (a fruitful and efficient content marketing engine) is a journey that many companies fail to complete. But when everyone works from the same detailed map, it’s far easier to avoid steering off-course. Collaborative planning helps activate all the creative voices on your team, and enables you to easily tap into your own data to see what’s resonating most with your audience. The workflow efficiencies yielded by a repeatable and well-defined process tend to reduce the number of requisite resources needed. Better organization and prioritization are crucial benefits of content planning. One of the biggest issues we see in content marketing is the “finish and forget” phenomenon. Teams will publish an asset they’ve worked tirelessly to develop, and then move onto the next project. Improved content planning ensures that every piece of content gets the follow-up and ongoing love it deserves, leading to superior reach and engagement. Content marketing measurement continues to be one of the top hurdles for marketing teams. Tracking results and consulting metrics, then implementing adjustments, are instrumental aspects of content planning. An interactive editorial calendar that everyone can access and use eliminates many of the issues that teams (especially larger ones) commonly experience in this regard. This is more strategic, driven by research and development of personas, but applying the knowledge you compile requires the right plan. When you’re more organized and efficient than others, you inevitably start distancing yourself from them. Because content planning remains a sticking point for a high percentage of businesses, shoring up this area equips you with a big advantage. To be sure, content planning entails its own set of challenges, but with the right focus and the right tools you can overcome them. Well said, Mr. Welch. That really is what it’s all about, and there’s no use in trying to make it any more complicated than that. The “general direction” of marketing strategy will be dictated by your company and its vision. As for implementing like hell? That’s all about nailing down your content planning. If you’re looking for ways to improve your own content planning and solidify your strategy, we suggest taking DivvyHQ for a test-spin to see what kind of difference it can make for you.